This past August I fulfilled an old promise and finally visited my good friend Niko, who lives in Skopje— Macedonia’s capital city. It is unlike anyplace I have ever been before, with a vibe that mixes the cultures of the ancient Mediterranean, Near Eastern, and Balkan regions with a hint of Disneyland. But what is life like for locals? I asked Niko to find out. So you’re originally from Skopje, yes? Correct. 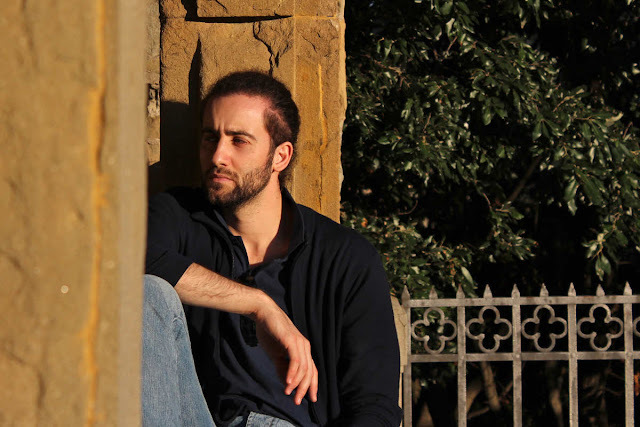 I was born and raised here, but I just recently returned after six years of living in Florence, Italy where I was getting my masters degree in cultural heritage. What was it like moving back to Skopje after living in abroad for so long? Haha, I’ve been a tourist my own town for a year and a half. It has taken me awhile to get used to the way things are here. Beyond the obvious cultural differences, living in Florence is like living in an art museum—everything, from street lights to window shutters, is designed to be beautiful. Skopje is pretty, but we do not obsess over every detail. Speaking of Skopje’s appearance, the city has changed quite a bit in the past few years, hasn’t it? It has! The government has invested a lot of money into redesigning the city center. They’ve put baroque-style facades on old, communist-era buildings, and erected a series of statues of important figures from Macedonia’s past. It looks like a completely different city! That’s quite the transformation. How do you feel about this? Since these changes are aimed at bringing more visitors to Skopje, I’ll let them be the judge of whether or not the project was a success. However, I think anything that highlights our cultural heritage is a good thing, as we have much to offer! Well, for one, Macedonia has some incredible churches and monasteries, the frescoes at which rival anything you’ll find in Italy. Our traditional food is also fantastic. We also pride ourselves on using fresh ingredients, which make all the difference in taste. I can vouch for that—I’ve eaten very well here thus far. What are some dishes that visitors to Skopje need to try? Shopska salata [fresh salad], tavce gravce [a baked bean dish], and ajvar [a red paper and garlic paste] are some of my favorites. Burek—a kind of pita with cheese or meat—is also a must try, either for breakfast or late at night. But be sure to grab some ayran [a yogurt drink] to go with it. 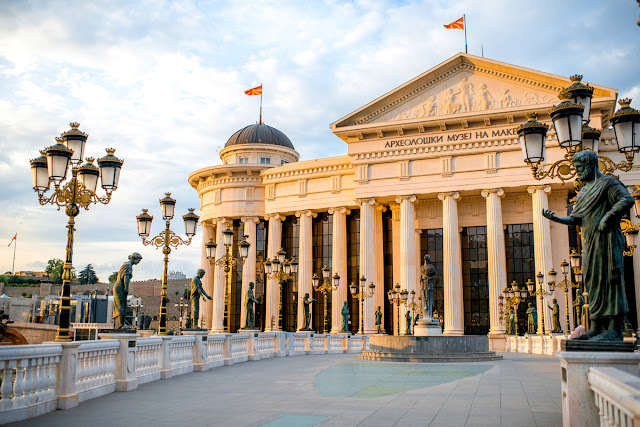 What is your favorite thing to do in Skopje? I love visiting the Old Bazaar. Walking though it’s narrow streets, I’m bombarded by a mix of tastes, cultures, goods, stories, and memories that can only be found in places like Skopje, where European and Near Eastern cultures collide. Plus, it’s only a short walk from where I live, which means I can shop for groceries there regularly. The area you live in—Čair—is quite diverse, with both ethnic Macedonians and Albanians living side by side. How do these duel ethnic groups—and Skopje’s multi-ethnic history—impact daily live here? Great question! Having a multiple ethnic groups within Skopje makes the city a more interesting place. As I said before, the Old Bazaar is so interesting because it’s a mix of various cultures. Having been raised an Orthodox Christian, living side-by-side with predominantly-muslim Albanians has opened my eyes to other ways of living and given me a better understanding of the world as a whole. What advice would you give to someone who wanted to live like a local in Skopje? Hah, living like a local here can be quite exhausting—in a good way! To really interact with the locals, try using public transportation rather than cabs. The buses are cheap and usually on schedule. In terms of things to see, check out the Old Bazaar, the Kale Fortress, the newly-redesigned city center, Matka canyon, Mount Vodno to see the world’s largest cross, the Old Bridge, and the Archaeological and City Museums of Skopje.